Hey guys, Fenty just brought out a new concealer and expanded their foundation shade range. They now have a very fair shade in a yellow undertone which is what I've been looking for.. forever! 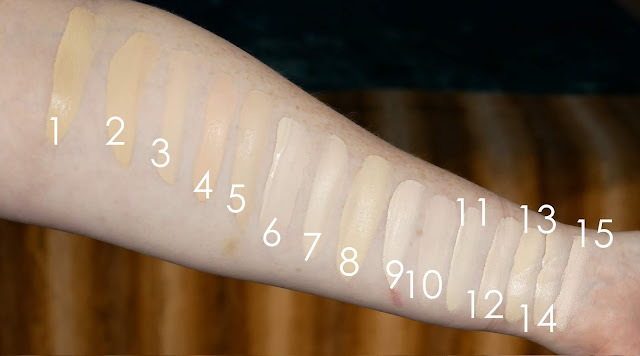 Here's some comparison swatches of the new foundation shade and the concealer in 105 (which is very yellow). Check out my video for a demo and 10 hour wear test! I know this post is about the Fenty, but this is the first time I've seen a swatch of the Tarte Shape Tape in Porcelain Beige, so I hope you don't mind me asking about it here. The swatch looks fairly neutral, even though I know the shade Fair Beige is pretty pink toned. Would you say the Porcelain Beige shade is more neutral or pink toned? Thank you! Sorry I missed your comment! It's definitely more peachy vs pink. It does get a bit darker as it dries, but not nearly as dark as Shape Tape in Fair goes as it dries.